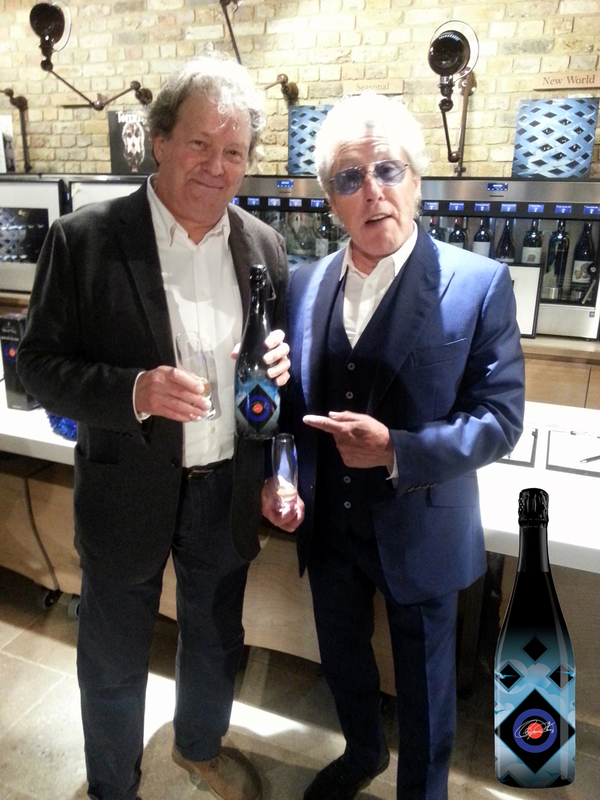 A moment from the Roger Daltrey Cuvée Champagne launch in July 2016. I had been approached by Jamie Daltrey several months earlier with a request to use Tommy artwork for the branding of the champagne produced by the Charles Orban champagne vineyard in the Marne Valley. A percentage of proceeds from sales would go to Teen Cancer America. Plans to direct funds from sales to Teenage Cancer Trust UK fell foul of rules for UK charities banning any connection between fundraising and commercial companies linked to alcohol. Roger spoke passionately at the launch about the two charities helping young people through difficult times during a particularly sensitive stage in their lives. A great service.